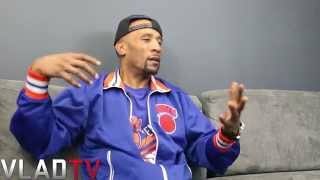 http://www.vladtv.com - Brand Nubian rapper Lord Jamar sat down with VladTV and shared his thoughts on A$AP Rocky saying that him being teased and ridiculed for his style when he was younger compares to going through the Civil Rights movement. Jamar gives Rocky, as well as his groupmate Ferg, the benefit of the doubt, saying they may be bringing up things like Civil Rights and Elijah Muhammad as a strategy to bring these conversations to the forefront. Overall, however, Jamar thinks it's a bit of a stretch to compare the two.